Page Street Publishing, 9781624143144, 272pp. If you’ve ever wanted to learn to brew beer from an expert, look no further. 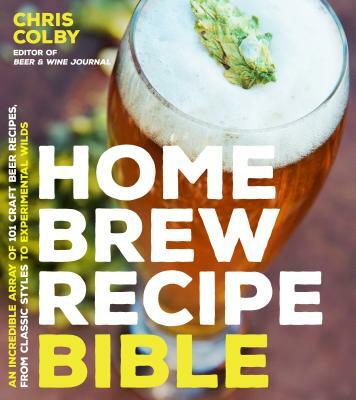 Award-winning homebrewer Chris Colby of Beer & Wine Journal offers recipes for every major style of beer to teach novice, intermediate and advanced brewers more about the craft and science of brewing. From classic styles like pale ales, IPAs, stouts and porters, to experimental beers such as oyster stout, bacon-smoked porter and jolly rancher watermelon wheat, brewers will learn more about brewing techniques and beer ingredients. Chris also shows how recipes can be modified to suit an individual brewer’s taste or to transform one beer style into a related style, creating a lot of different and fantastic beer options. Quench your thirst for brewing knowledge on a journey through 101 different beers, spanning all the major beer categories in the 2016 Beer Judge Certification Program (BJCP) guidelines and most in the Great American Beer Festival (GABF) guidelines. Chris Colby is the editor of Beer & Wine Journal. He holds Bachelor of Arts degrees in biology and chemistry, and a PhD in biology. He previously served as a science editor at Holt, Rinehart and Winston and as editor of Brew Your Own and WineMaker magazines. He lives in Bastrop, Texas.